This skin fits models made before 2016 without a built-in CD/DVD drive only. If your 13" MacBook Pro has a CD/DVD drive click here or is the 2016+ model with or without a touchbar, click here. 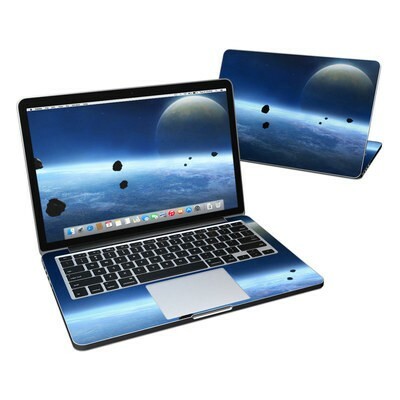 Remember, we offer over 1000 pieces of art as skins for your Apple MacBook Pro Retina 13". I ordered Waterfall to coordinate with my awesome new camera/laptop bag from Epiphanie. It is exactly what I wanted, and, as with all of my previous DecalGirl skins, I get tons of compliments! Also very useful for school or work environment. The 'Flourish' skin looks exactly the same in person as it does online. The finish is glossy, but not overly shiny. The logo cutout (for the macbook) is a perfect fit and the skin went on my laptop easily with no bubbles! Great quality product for a very fair price! I bought the Waterfall skin and soft zipper cover for my Macbook Pro Retina 13" over a year ago and it has held up very nicely. I still get complements on the design! It was easier to apply than I thought it would be. I was successful with my first attempt at placing the skin on my computer. Wynn F.
Beautiful design. I love the gloss finish. Very easy to apply high quality. Guess what it even came with a skin for the wall charger. DecalGirl has great customer service. The skin fit perfectly and I love the way the graphic looks on my latptop. Very pretty and easy to install. It's like sitting inside a cozy library! WONDERFUL ARTWORK! LOVE IT ! Has stayed on for 2 years and looks awesome with the cutout. Time to order another for my new laptop. Very Nice! I just gave my 2015 MacBook to my mom and removed my old skin and installed this one for her and she loves it and IT IS really pretty. As always, the skins remove and install perfectly and quite easily. Looks just like the picture... the quality is great. 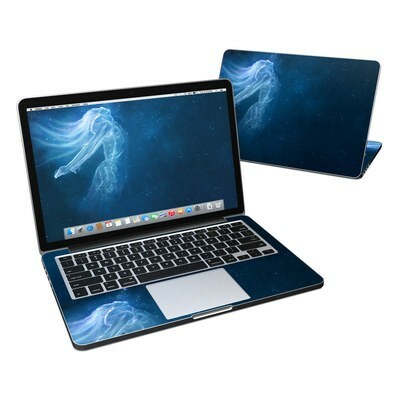 The skin itself is much thinker than I expected and know it will keep my computer protected well! Quality (as usual) is excellent. This design is different enough to feel like "me" while fine for work. Perfect. Love the design. Fits & sticks perfectly. Haven't had any issues. Fantastic skin I get compliments and second takes everywhere I go. 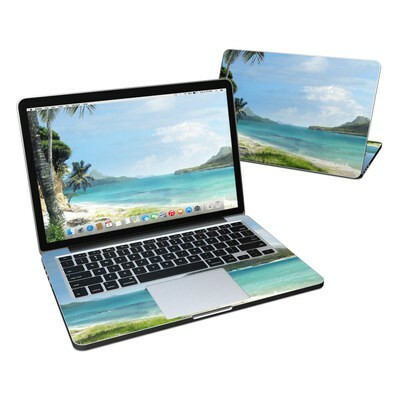 Makes your MBP look like a giant composition notebook. I love it, especially when I personalize it to my liking. Very easy to upload my custom design. Good color reproduction, lights and darks. Very easy to apply. Didn't stick too early, but easy to attach and flatten air bubbles once I had it in place. I'm a very happy customer! Great finish and design.. Love the way its so easy to manouevre and fix. I am in love with this product!!! The Flores Agua design is beautiful and it was surprisingly easy to install. I've received numerous compliments on it so far. The arrival of the product was super quick too. The price was also VERY resonable. I will definitely order from DecalGirl again. I had a really hard time finding a decal that I really liked, so decided to design my own. It was so easy to use, and the skin was shipped to the UK within a week. It's extremely high quality, and I couldn't be happier! I love owls. And the color and the detail is just amazing. It was easy to put on, and there are no bubbles or any issue. I love my computer even more now with the skin. Thanks my Mac looks so good now. Can't stop staring at my MacBook! 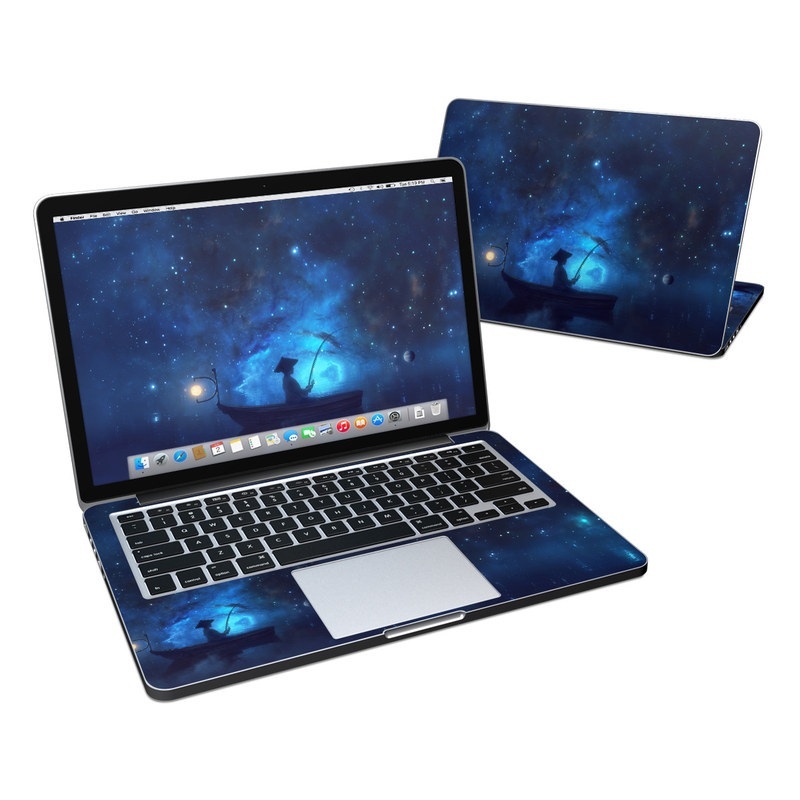 This is the second custom skin I've ordered for my Macbook Pro and I am as pleased with this one as I was with the first. The process of uploading images is easy and the print is perfect: rich black tones, vibrant colors and sharp detail. The skins, made from 3M Controltac vinyl (an excellent product) are easy to work with during application and practically goof-proof. I really needed a skin for my Macbook and Sunflowers are my favorite flowers so I am extremely happy with this purchase. It was a gift for my girlfriend and she loves fishing. So when I gave it to her and put it on her Macbook she fell in love with it. She couldn't have been happier. it goes on super easy, it looks sick on my macbook pro. Gorgeous skin, very bright and uplifting, and I get tons of compliments on it! Great artwork, Can't stop looking at it. The keyboard, I had to trim the edge near the screen as I may have stretched it a bit. The trimmed part doesnt show so I'm happy with this.